William H. Barrett is a partner in the law firm of McDermott Will & Emery LLP and is based in the Firm’s Washington, D.C., office. Before entering private practice, William was an economist with the Federal Communications Commission and an economist and attorney with the Antitrust Division of the U.S. Department of Justice. At both the FCC and the DOJ, William participated in the investigation of AT&T, which led to the department’s antitrust suit to break up the Bell System (United States v. Western Electric). 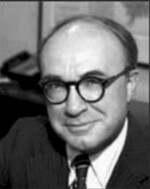 As an economist with the DOJ’s Antitrust Division, he assisted in trial preparation of that lawsuit. William focuses his practice on primarily domestic and international antitrust and litigation. His antitrust practice involves representing individual witnesses in criminal antitrust grand jury investigations; arbitrage counseling; patent licensing and trade secret counseling and litigation; private treble damage prosecution and defense; representation of corporate clients in U.S. Department of Justice CID investigations and business review submissions; and in designing and implementing corporate antitrust compliance programs. William has also represented clients in jury and non jury trials in federal and state courts, before U.S. administrative agencies and before arbitration panels. He has litigated antitrust, intellectual property, international trade, securities, ERISA, banking, communications, commercial and government contract matters and construction dispute cases. William is a member of the bars of the District of Columbia and various federal courts, including the Supreme Court of the United States.